First of all... have you guys noticed the ads in my sidebar and at the bottom of the page? I'm hoping they haven't been too obtrusive :-) They've been around for a year and a half or two (honestly can't remember when I installed them!) and I finally earned my first paycheck from them this week! Every time someone views a page where an ad lives, I make a teeny bit of money (so... if you're viewing this page... thank you!). When that builds up to a certain amount in my account, the ad company pays it out. I notied a few months ago that I was getting close to the payout amount, so Ethan and I started talking about what to do with that extra money when it came in. Collaborations with other bloggers and shops. This will hopefully include a couple of giveaways, maybe a new link-up series hosted here, and some ad-swaps (where we put another blogger's photo and link on our sidebar in exchange for them doing the same for us). Stepped-up images. I have been exploring my house with my DSLR, trying to add "stock photographs" to the library of photos I own, so I can create more "pin-worthy" blog images for the blog, and just elevate the appearance a little. This, of course, isn't really something I needed to earn money to invest in, but this time of change seems like a good time to focus on this area a little bit. Editing and improving old posts. Along with the stepped-up images for future posts, I am going to go back in my archive and update some of my "oldies-but-goodies" to include higher-quality photos and pin-able images. I also need to check links to make sure none are broken, and identify which links may be affiliate links. Some posts will be permanently archived if they no longer fit the theme and focus of the blog, or don't serve as relevant bits of my history. Streamlining. I'll be getting rid of some labels and other things that clutter up my sidebars and posts. Going for very clean and uncluttered! Getting up to code. I have been learning a lot lately from other bloggers about some of the legal aspects of blogging, and I am going to be working hard over the next few weeks to get certain areas of the blog into compliance. 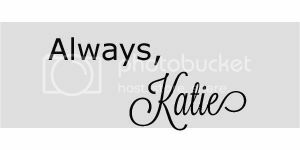 I started this so long ago as basically an online journal that it has been tough and weird to try to keep up with all the changes in the blogosphere! 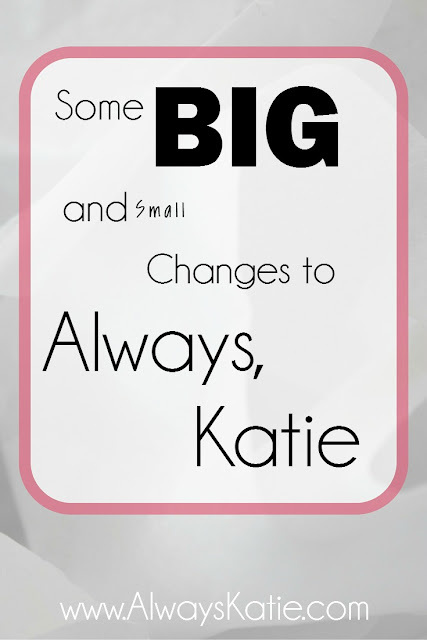 I am really excited to "grow up" my blog a little bit! I'd love to hear from you... what sort of content do you enjoy most? Are there any bloggers or shops you'd love to see me collaborate with? I've written before about the postpartum depression I have been experiencing since shortly after the birth of the twins. In addition to the biological predisposition and the crazy hormone soup that floods a woman's brain after delivery, new moms have to adjust to a whole new identity. Their body is permanently changed, their thoughts and motivations are different, and they often don't have the time or energy to engage in activities that they have always enjoyed. It can be strange to barely recognize yourself in your own head or in the mirror. One thing that had been hard for me to adjust to was putting away my jewelry. I've made hundreds of pieces for myself over the years, and Ethan has given me several beautiful and sentimental pieces, but they are all so delicate that I've been afraid to wear them with the babies. I don't want them broken, but I REALLY don't want them to turn into choking hazards! I know that stopping wearing jewelry sounds like too silly of a thing to even be considered a sacrifice, but accessorizing has been a big part of my fashion sense and a small part of my identity for a long time... I mean, I sold jewelry and taught jewelry-making! So losing this form of self-expression was a little jarring. Enter The Vintage Honey Shop. You may recall I mentioned in my Black Friday/Small Biz Saturday/Cyber Monday post that I loved the look of these necklaces and was interested in having one. The concept is so clever to me - necklaces that are designed to not only be safe, but beneficial for your little ones! They are made with organic wood beads, soft cotton fabric, silky ribbon ties, and sometimes organic wood teething ring pendants. I was excited to wear one of these necklaces because my Sam is a hair puller. When he starts getting really grabby, I throw on one of my necklaces. Oh, the glamorous night shirt and sweatpants ensembles I have accessorized with these! It gives him something to pull on and play with while I feed him, and lets me keep what hair postpartum hair fall has left me. The ribbon ties make the length adjustable, and they are wide enough that they don't cut in to the back of my neck when a baby is tugging on them. Both of our babies have been teething for... ever, basically. They have some really bad days every once in a while, but even on good days they love to gnaw. They gnaw on their toys, their hands, OUR hands... and anything else they can get into their mouths. :-) These necklaces, especially the ones with the wood rings, are great for this! 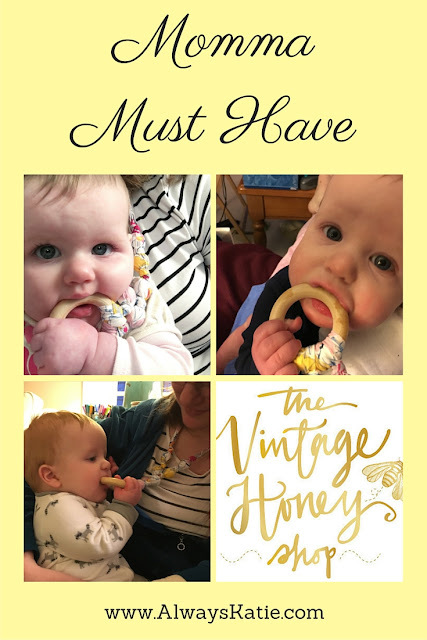 They're totally safe for the babies to have in their mouths, and the beads and ring seem to really soothe their sore gums. I think the fun patterns may also help hold their attention, but I could be wrong about that. I do know that my daughter seems to share her momma's love for pretty, girly things ;-) When they started fussing in church this week, I held Abbie and let her chew on my necklace for a while. It kept her distracted for several minutes... which, in baby time, is a near eternity! 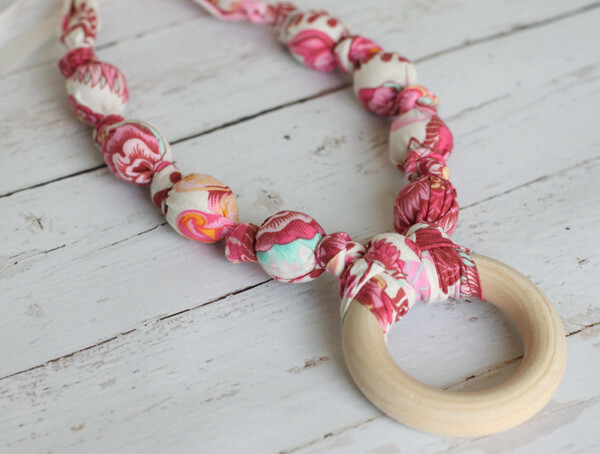 Priced at $22 and $28, the fabric teething necklaces are a tiny bit of a splurge for the new parent, newly mindful that babies are expensive, but it is a splurge that I feel is well worth it. These would make a great baby shower or new mom gift. Something pretty for her, not just practical for her babies, and something she may not do for herself. 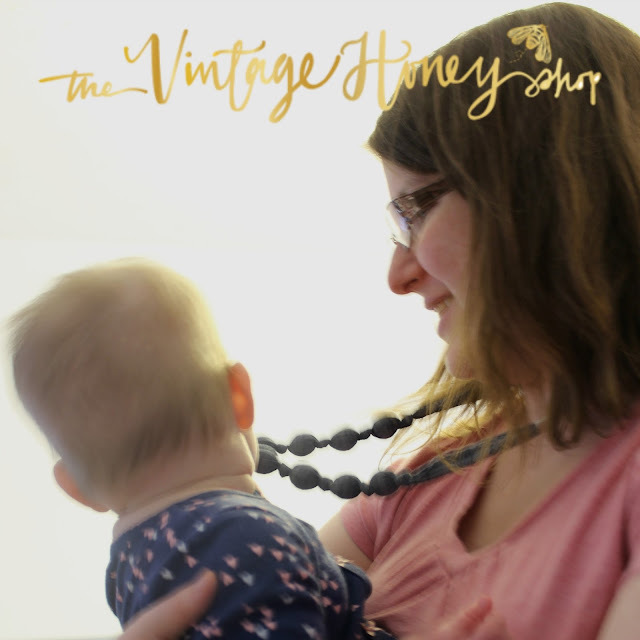 She's going through a huge life change, she deserves something pretty :-) And because they ROCK, The Vintage Honey Shop is offering Always, Katie readers a 15% off code! WooHoo! I posted on Facebook recently about a meme that has been bothering me as it makes its way onto my timeline about five or six times a day. Unsurprisingly, those who have loved or shared that meme jumped to defend it and labeled me as "too sensitive" or "too easily offended." So why is everybody (myself included) so danged easy to offend (or hurt, anger, etc)? Why do we have such strong reactions to things we see online? If I had seen that meme just once, I probably would've rolled my eyes and moved on. If the idea behind it wasn't one I see hashed and rehashed on all platforms frequently, I probably wouldn't have such a tender spot over it. But it's frequent. Constant. The issue is never not in front of my face. Chances are, if something you say hurts someone, it's not the first time they've heard or read it recently. We've all seen Internet trolls... they make up fake names and post deliberately provocative comments on articles or posts, and they feel safe in their rudeness - and sometimes flat-out hatefulness - because they hide behind the relative anonymity of their keyboard. But what about us normal people? Do we still say things online that we probably wouldn't say in real life? Or do we approach subjects with less tact and caution than we would in person? Could it be because we can't see the faces on the other side of the screen and how they are hurt, confused, angered, disgusted by the things we say? Social media widens our circle. 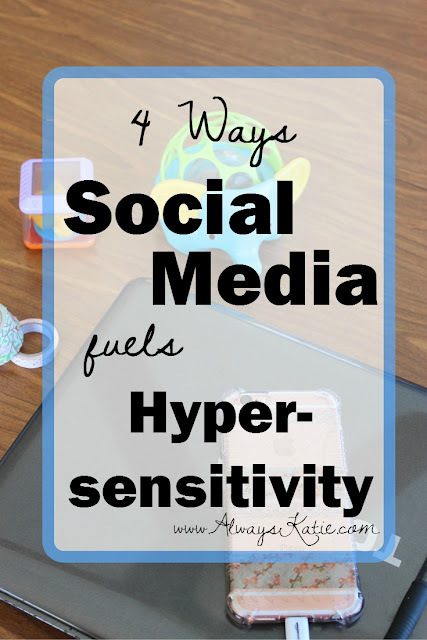 As a stay-at-home mom, my daily in-person interactions are pretty limited. I spend lots of time interacting with two or three people, and may have encounters with another handful of people if I run an errand or two. You may interact with dozens of people at work, or in your other daily routines, but I know very few of us have even brief in-person encounters with as many people as we encounter online. Through various social media platforms, I am directly connected with thousands of people, and indirectly with many more (like when a friend comments on their friend's status and it shows up in your newsfeed). Just in sheer volume alone, we're going to encounter more offended people than generations who did not use social media did. Social media makes us offensive. In the past, I've done a lot of talking online about my periods and attempts at conception. This is DEFINITELY not considered polite dinner conversation, or something you talk about with people you barely know, or something to be talked about where strangers may overhear! Same goes with all kinds of other things we share online. A BIG example is politics. It used to be common etiquette to keep your political leanings to yourself, but how often do your Facebook friends post memes or share articles about their favorite candidate (or critical things about a politician they disagree with)? Mine do it all.the.time! Both sides of the aisle. All.the.time. And because social media emboldens us, some even engage in name-calling of those they disagree with, while having to know that some of the people they are calling names are on their friends list. So if you start to think how much more often you see or hear someone expressing their offense or hurt, consider how much more often WE are being offensive. Because social media widens our circle to include more offended people, consider that it also increases the number of people with whom you're breaking the standards of polite conversation other generations followed. And because social media saturates us, think how many times a day this combination occurs. So what do you think? Are people this generation more sensitive, or is that an artificial construct due to the changing ways we interact with each other? Or some other thing I'm missing? :-) I'd love to hear your thoughts on this!